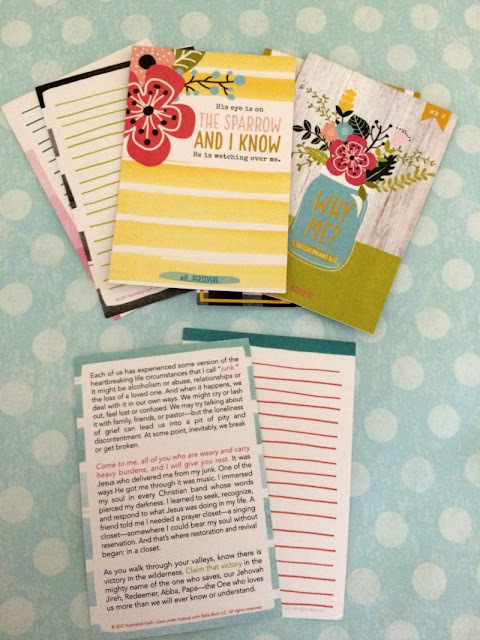 I am partnering with DaySpring to share a look at the new Illustrated Faith devotional kit. All thoughts and opinions are my own. This post contains affiliate links, which means I receive a small financial compensation if you make a purchase using this link. 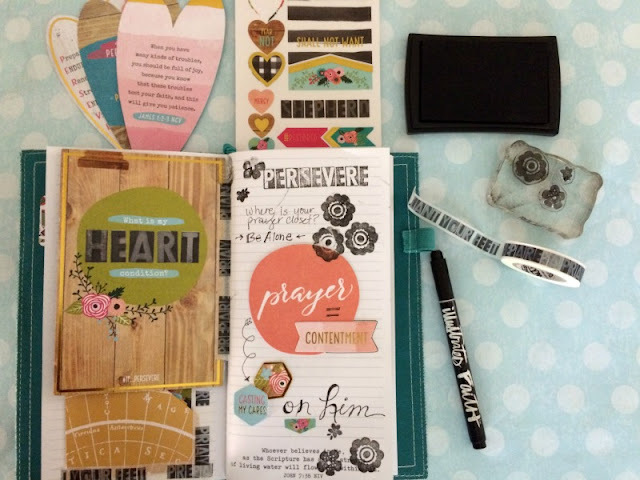 Do you love to Bible journal, but do not always want to lug all of your supplies with you? 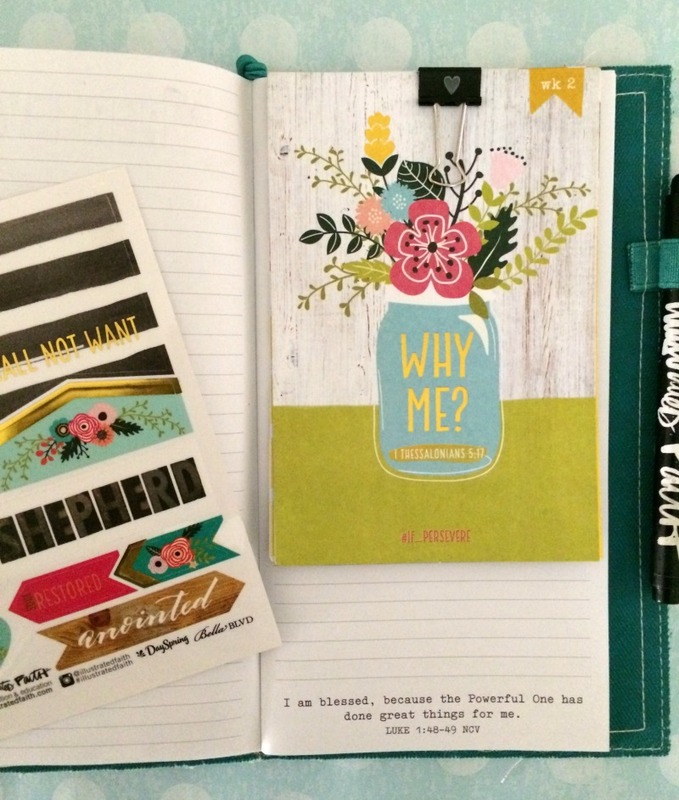 I recently have started using a traveler's notebook, which does not take up as much space and I can throw it in my purse when I am on the go. Since the pages are blank, you have a neutral canvas to work with. 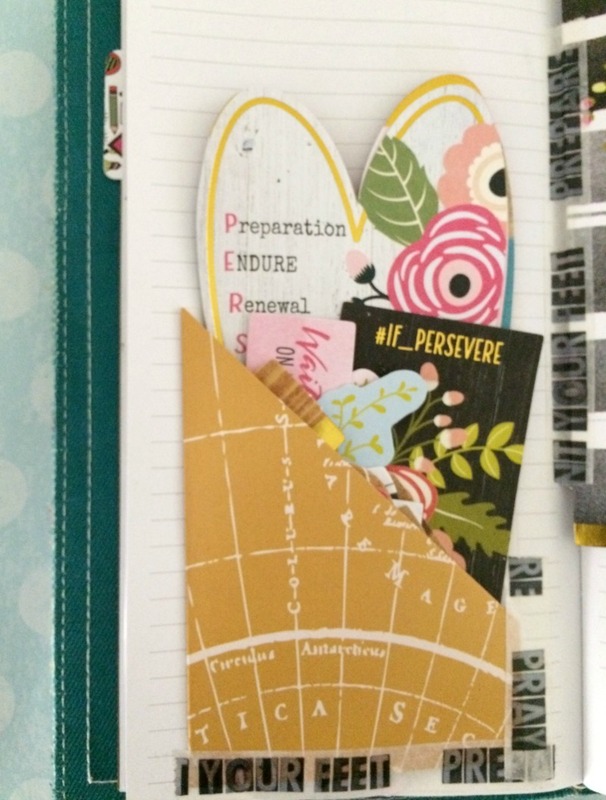 There is plenty of room to draw, journal, practice hand lettering, or reflect on a passage. 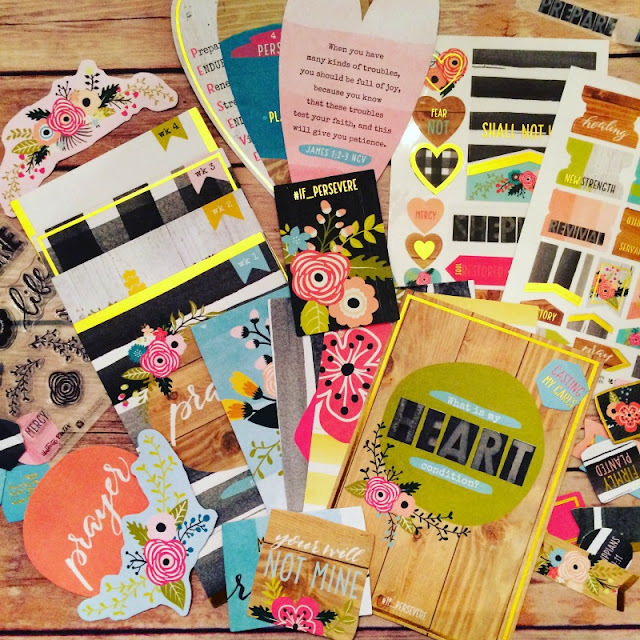 I am going to use the pages to create my own devotional from the latest Illustrated Faith kit called Persevere, so that way I can keep the kit together. This kit has a brand new look and feel to it and a lower price point! The first big change is that there is no longer a 14 day devotional book; it has been replaced by 4 weekly devotional cards, along with lined ones you can use for reflection. Check out my Unboxing video on YouTube for a closer look! 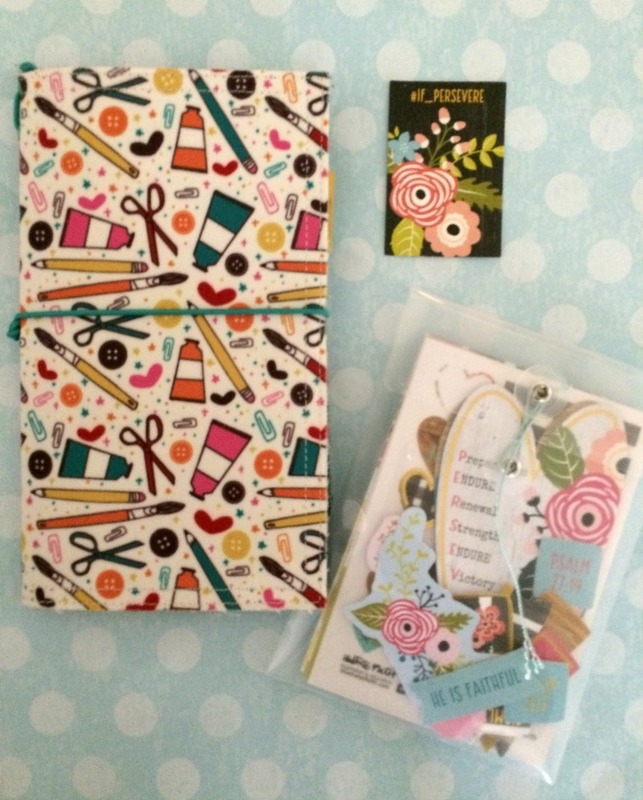 I am starting with adding the Week 1 card to the notebook using washi tape. 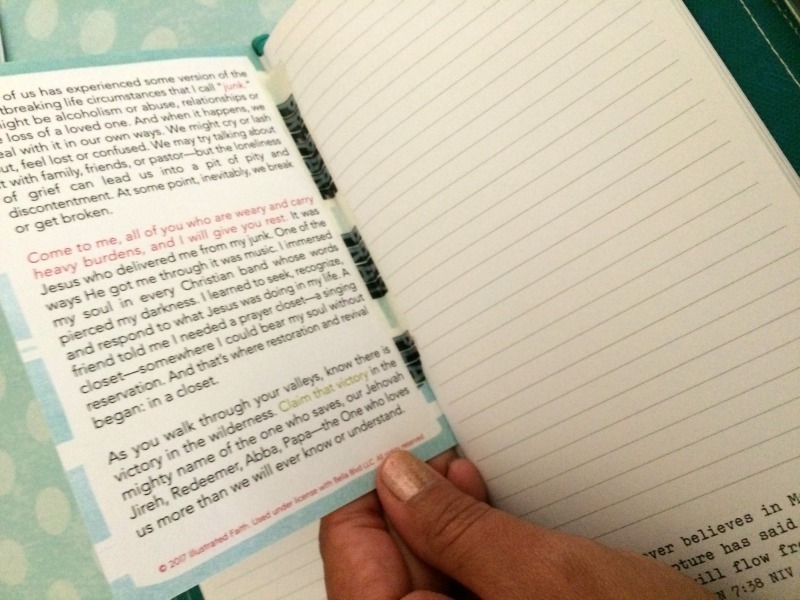 I also taped in one of the blank cards to journal and make notes after reading the devotional passage. 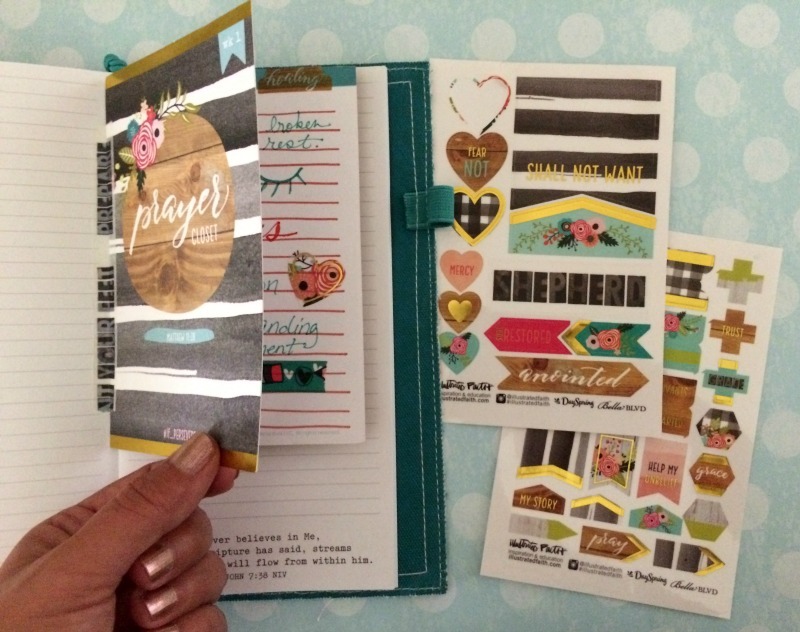 I used the blank page in the traveler's notebook to create a journal page using the stamps, washi, stickers, and die cuts. I used a piece of cardstock to make a pocket on the opposite page to hold the die cuts and the heart shaped encouragement cards. I used a mini binder clip to hold the remaining devotional cards on the following pages, until I am ready to use them. You can still easily keep the contents of your kit together and journal in a traveler's notebook! What do you think about the new look of the kit? Tell me your favorite part and head over to get your own for $20! Right now you can save an extra 25% during the customer appreciation sale by using code THANKYOU. Hurry, the sale ends 7/31/17!